Charlie is a quiet freshman in high school who has a rough time adjusting to high school and making friends until two eccentric, senior step-siblings take him under their wing. Sam (Emma Watson) and Patrick (Ezra Miller) drag Charlie into their world of music, drugs and carefree fun. Can we just say brilliant casting? Ezra Miller is delightful with a distinct Tim Curry flair, Logan Lerman is beautifully awkward and Emma Watson absolutely glows with her character’s hidden depth. What made this movie was the music. While reading the book, it’s hard to imagine Charlie’s mix tapes or the songs playing as the characters drive around. Chbosky’s taste clearly came through on the soundtrack as it matured with Charlie throughout his freshman year. He started off just taking the mix tapes his sister did not want then related so easily to his new friends with music. Reading it and seeing it made the experience complete as viewers come to fully understand Charlie’s life. The colorful cast of characters (hello, Ezra Miller) are what really make this film worth watching. Photo from Slant Magazine. 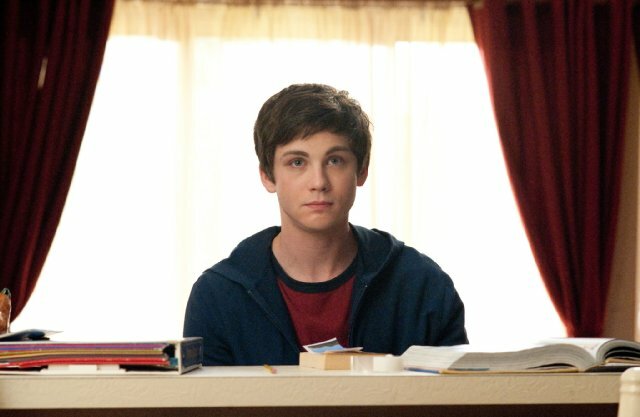 “The Perks of Being a Wallflower” already has a huge following. A disappointing film would surely have fans enraged. However, they don’t have much to worry about considering they will be getting exactly what they are expecting. “The Perks of Being a Wallflower” might be one of the most accurate book-to-movie adaptions of the past few years. Perhaps because author Stephen Chbosky not only directed the film, but wrote the screenplay as well. Die-hard book fans don’t have much to worry about, as the movie changes very little. Only two changes stand out. The book seemed to focus a lot more on Charlie’s relationship with his sister, Candace (Nina Dobrev) and his English teacher, Mr. Anderson (Paul Rudd). Mr. Anderson’s relegation to a more minor role is particularly disappointing. Another prominent aspect of the book missing from the film is the suicide of Charlie’s best friend and how their relationship affected him. Instead, the movie tends to focus on how Charlie became smitten with Sam and how much he cared for his new friends. But in a less than two hour movie, it’s hard to get all of the relationships developed. Overall, Chbosky’s vision for this book and movie came through. It has a great balance of angst and hilarious scenes including Charlie’s awkward appearance as Rocky in “The Rocky Horror Picture Show.” But really, he was working that gold spandex. While not everyone might have a high school experience like the main characters, you can’t help but feel chills whenever Charlie listens to “the tunnel song” and feels the wind blowing around him. Starring Logan Lerman, Ezra Miller and Emma Watson. Rated PG-13 for mature thematic material, use of drugs and alcohol, sexual content including references and a fight involving teens.